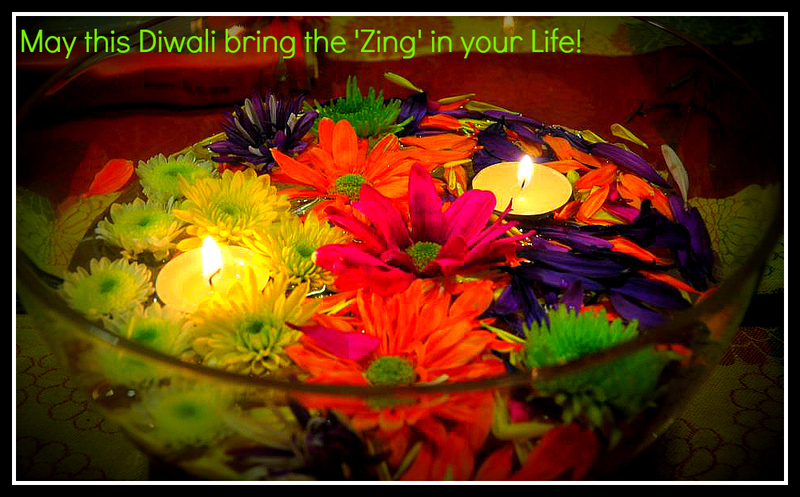 The Zing Of My Life: Happy Diwali! This is my first Diwali with my lovely readers and blogger friends! I am so excited and happy to share the festivities with you all! Wishing all the readers a Dazzling Diwali and a year filled with Happiness, Prosperity and Good Health! Wishing You a Very Happy Dipawali! New post up on my blog. Thanks a lot for your wishes..How was your Diwali dear? Happy Diwali gorgeous woman! :) hope you people had a fantastic day. A very happy diwali.... Pics pleaseeeee! !